On January 6th, 2016, Sheriff Michael G. Mastronardy appointed Brian J. Klimakowski as Undersheriff and Director of the Ocean County Police Academy. Undersheriff Brian Klimakowski retired in March of 2015 as the Chief of Police / Director of Public Safety after 28 years of service with the Manchester Township Police (NJ). Prior to his retirement, Undersheriff Klimakowski was responsible for both the Division of Police and the Division of Emergency Services which included law enforcement, fire suppression and prevention, emergency medical services, and emergency management. Prior to his appointment as Chief of Police/Director of Public Safety, Undersheriff Klimakowski served the citizens of Ocean County for more than four years as the Commander of the Ocean County Regional SWAT Team. This is a countywide team of specially trained police officers who provide tactical response to 30 of the county’s 33 municipalities. The team consisted of over 100 members from three sections; Tactical Operations, Negotiations and Snipers. His duties as Tactical Commander included the development of strategies and solutions for all tactical situations which exceeded the capabilities of traditional law enforcement, the planning and execution of executive protection details, the assessment of risk and vulnerability, the planning and execution of high risk operations, the containment and de-escalation of barricaded, armed or potentially armed suspects, active shooters and hostage situations. During his more than 21 years in SWAT, Undersheriff Klimakowski was involved in more than 300 SWAT operations and has provided expert guidance and opinion in the area of SWAT and Tactical Operations. During Undersheriff Klimakowski’s tenure as Chief, he served on the Governors School Security Task Force which was created to enhance the safety and security of New Jersey’s public and nonpublic schools. Chief Klimakowski also served on New Jersey’s Law Enforcement and Education working group and on the Office of Homeland Security & Preparedness (OHSP) Emergency Services Sector Working Group. This group provides guidance in areas of prevention, preparedness, response and recovery, and is the first line of defense in the prevention and mitigation of risk from terrorist attacks, manmade incidents, and natural disasters. He has also provided expert guidance statewide in the area of school security and safety, active shooter, and emergency preparedness. Up to his retirement, Undersheriff Klimakowski also served as the Homeland Security & Operations Liaison for the New Jersey Association of Chiefs of Police where he provided expert guidance on Use of Force, Less-Lethal, CED’s, Active Shooter and School Security and Safety. Undersheriff Klimakowski is also a recognized expert in school safety and security by the New Jersey School Boards Association. Additionally, in May of 2014, Undersheriff Klimakowski was appointed by Mayor Michael Fressola to serve as the Business Administrator in Manchester Township. This appointment encompassed the management and supervision of all departments within the Township, the preparation and adoption of an annual budget of more than 30 million dollars, the overall supervision of more than 200 employees, the development and enforcement of purchasing and personnel practices, the continuous administrative review of departmental operating methods, the uninterrupted analysis of budget operations and the cost of municipal services, and the enforcement of ordnances, resolutions, and general laws applicable to municipal government. Undersheriff Klimakowski served in this position until his retirement on March 1st, 2015. 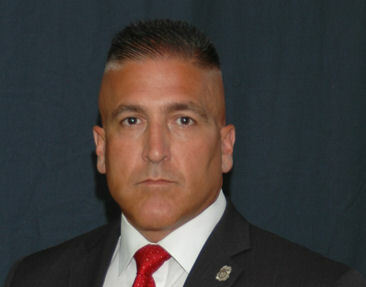 Undersheriff Klimakowski holds a Master of Administrative Science degree from Fairleigh Dickinson University. He has also received Graduate certificates in School Security & Safety Administration and Global Leadership & Administration. Undersheriff Klimakowski is a graduate of the West Point Command and Leadership program, is a Certified Public Manager (CPM) and is also certified as an Accredited Chief Executive-Advanced. Undersheriff Klimakowski is also a certified police instructor in the State of New Jersey and holds numerous instructor certifications in a wide variety of topics. He is also an Adjunct Faculty Member at Fairleigh Dickinson University, where he teaches various topics related to Public Administration. 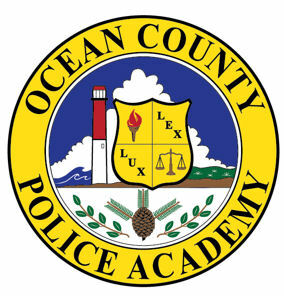 Undersheriff Klimakowski is currently a member of the Ocean County Police Chiefs Association, the New Jersey State Association of Chiefs of Police, the International Association of Chiefs of Police, the FBI Law Enforcement Executive Development Association, and the International Law Enforcement Educators & Trainers Association. Undersheriff Klimakowski is a lifelong resident of Ocean County. He grew up in Manchester Township where he attended the grade school and high school and later went on to serve ten years as a volunteer with the Manchester Township First Aid Squad, achieving Life Member status. He currently resides in the Township of Toms River, with his wife and four children. Chief William J. Dikun began his law enforcement career as a Special Police Officer with the Point Pleasant Beach Police Department in May of 1976. In November of 1977 he was sworn in as a Patrolman with the Little Egg Harbor Police Department. He subsequently commenced training at the Ocean County Police Academy, as a member of Class 31, which graduated in May 1978. On June 1, 1978 he changed venues and accepted a position as a County Investigator with the Ocean County Prosecutors Office. While at the Prosecutor’s Office Chief Dikun was assigned to the Grand Jury Unit, Polygraph Unit and the Special Investigations Unit, which is now the Special Operations Group. On June 1, 1980 Chief Dikun accepted a position as a Patrolman with the Bay Head Police Department. He was promoted to Sergeant in 1992, Lieutenant in 1995 and subsequently Chief of Police in 1998. He retired from sworn law enforcement service on January 1, 2005 and accepted the position as Chief Police Instructor at the Ocean County Police Academy. Chief Dikun is a 1972 graduate of Point Pleasant Boro High School. He has attained a Master of Administrative Science Degree from Fairleigh Dickinson University, Bachelor of Arts Degree from Rowan University and Associate in Arts and Science Degrees from Ocean County College. During his tenure he attended various Federal, State and County in-service courses of instruction and is a graduate of the 188th session of the FBI National Academy in Quantico, VA. He retired 2014 as a Master Chief Petty Officer in the United States Coast Guard Reserve with over twenty eight (28) years of service. Chief Dikun is a veteran of Operations Desert Shield/Storm, Enduring Freedom and Iraqi Freedom. He remains active in his community as a member of Point Pleasant Borough Fire Department, VFW Post 4715, BPOE 1698 and Durand Masonic Lodge 179. Captain Gerald LaStella was born in Newark, N.J. and resided in West Orange, N.J. After completing High School and a tour with the New Jersey National Guard’s 120th Armored Cavalry Unit he became employed by the Seaside Heights Police Department. First as a Dispatcher and later received an appointed as a Patrolman in 1970. He was promoted to Sergeant in 1974, Lieutenant in 1982 and Captain in 1986. During his tenure he held many positions in the Police Department which included Evidence Officer and Training Officer where we expanded the Special Officer Training Program. He was also assigned to the Ocean County Prosecutor’s Office Special Investigations Unit, Narcotic Section. Experience in this world of work led to an appointment to the International Association of Chiefs of Police (IACP) Juvenile Justice and Narcotics Enforcement committees. He retired from active service in December of 1993. Captain LaStella has compIeted two tours of duty here at Ocean County Police Academy. Firstly, serving as the Chief Police Instructor/ In-Service Training Coordinator from 1994 to 2004 and returning again from 2012 to the present as a Recruit Training Coordinator. He attended Ocean County College where he received a Law Enforcement Training Certificate for attaining thirty two (32) credits within that course of study. He is also a graduate of many Federal, State and Local Law Enforcement Training Courses. Captain LaStella is also the recipient of many prestigious awards which include: Life membership in the International Association of Chiefs of Police and Associate Membership in the Ocean County Police Chief’s Association after being designated as their “Man of the Year” on two occasions. Captain LaStella is a proud father and grandfather. He currently resides in Toms River, NJ with his wife, Barbara. Lt. John Tate began his law enforcement career in Seaside Heights as a Special Police Officer in May of 1978. In September of 1980, he was made provisional and completed the Ocean County Police Academy in April of 1981. Lt. Tate was made Sergeant in May of 1984 and Lieutenant February of 1996. Winner of numerous awards during his tenure at Seaside Heights, including, Ocean County Emeralds Society Law Enforcement Officer of the Year in 1997. Lt. Tate retired from Seaside Heights in November of 2003. Lt. Tate then accepted the position of Recruit Training Coordinator at the Ocean County Police Academy July of 2005. Lt. Tate still holds this position and has graduated recruits from across the state of New Jersey. Lt. Tate is a graduate of North Bergen High School in 1974. After high school, Lt. Tate attended Kean University for two years, before moving to Toms River, New Jersey. Lt. Tate received his Associates Degree in Social Science from Ocean County College, Toms River, New Jersey and then his Bachelors Degree in Social Science from Thomas Edison State College in Trenton, New Jersey. Lt. Tate has completed his Masters in Justice Administration from the University of the Cumberlands in Williamsburg, Kentucky. Lt. Tate is married to his wife Donna for 31 years and has three adult children. Lt. Tate still resides in Toms River, New Jersey.